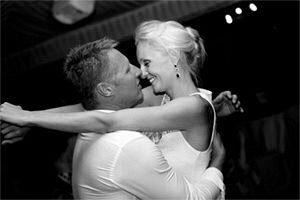 Pip was a delight to have as the photographer at our wedding, she was very flexible, taking on board exactly what we wanted and producing fantastic results. Before the wedding, she spoke with us and very quickly grasped our requirements for the big day. On the day itself she arrived early, scoping out the venue and setting herself up before taking some preparation shots. For the main photo session after the ceremony, we didn’t want this to take too long and Pip very efficiently took the photos, politely directing us and our guests to the right position and ensuring we were looking at the camera (not an easy task with some family members!). She was able to get everything done within the time we had set aside and also took some more informal shots at the drinks reception and dinner, capturing some lovely moments for us to remember. 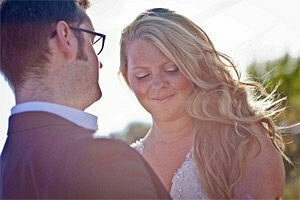 Pip was able to let us have preview images within a week and we were overjoyed with the results- excellent photos. Only the best!! Pippa isn’t just the best Photographer but the loveliest person to have around on your wedding day. Pippa had photographed both my sister in laws weddings previously and we wouldn’t have chosen anyone else to do our own. She catches every moment you could wish for in the day without being in your face and too involved. We have the most beautiful photographs which we will treasure forever thanks to you Pip. We both absolutely love the wedding photos. Pippa was fantastic, and somehow managed to be everywhere at once, and get every photo we wanted. 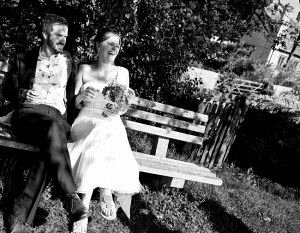 We also got the photos incredibly fast following the wedding, which was brilliant as we couldn’t wait to see them. The day went so fast, and we’re so glad we hired Pippa as she captured people’s reactions and expressions so well. She’s also very friendly and approachable and we wouldn’t hesitate to recommend her to our friends! We met Pippa for the first time at our ‘pre-wedding shoot’ it was fantastic having the time to get to know you as well as the photos being beautiful. We were so excited for the wedding day. With 2 brides, 6 bridesmaids, a flower girl, a page boy and 2 mothers of the bride it was rather chaotic getting ready. Pippa somehow managed to navigate around us capturing all the getting ready photos that we didn’t even realise were being taken. Pippa captured every moment from speeches to sparklers in the rain in such a natural way. We absolutely love the photos and really struggled to narrow down our selection for our wedding album. The video montage is incredible and a brilliant way for us to show our family and friends the photos. 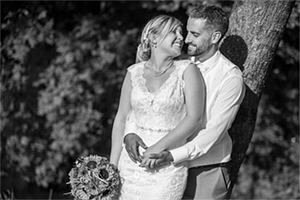 We would recommend Pippa to anyone who is looking for a talented, professional photographer who has the ability to put even the most camera shy at ease. Thank you again for the beautiful photos. We had a fantastic time from the moment that we first met Pippa, right through to saying goodbye after our first dance and trying to choose photos for our album! We don’t know how she managed to capture so much of our day without us noticing she was there! 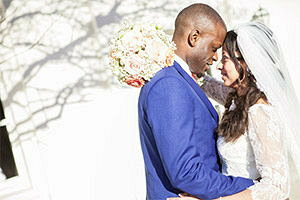 She made us feel very relaxed, and we have amazing photos to remember such an important occasion in our lives, and would recommend to anyone looking for professional quality with a personal touch. We can’t thank you enough for your involvement on our wedding day. 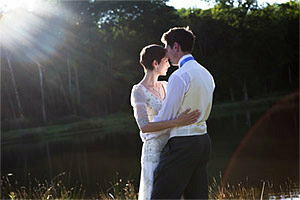 When we received the slideshow of the photos we couldn’t believe how lucky we were to have had you shoot the day. 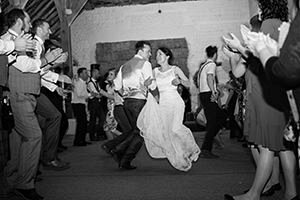 The photos tell the story of the day, the group shots are beautiful and we’re a little in awe of how you captured the ceilidh dancing in full swing in low lighting in the barn! We were also struck by the number of photos that you took and the angles they were shot from – you were so discrete we never noticed you taking many of the photos at all. You managed to guide everyone into group shots gently and professionally and have the patience of a saint! When we were looking for a wedding photographer, we kept hearing advice to choose someone that we would be happy to be around throughout the day. If you hadn’t been taking photos, we’d have gladly invited you as a guest. We couldn’t recommend you highly enough. Thank you so much. Pippa thank you for all of your incredible hard work for our wedding photos. You really went the extra mile to stay longer for Jacko and those photos are hilarious. The speed you turned everything in was so impressively quick and we love everything particularly the video to music. You really did manage to capture our special day and we will have so many memories to remind us. As a graphic designer I am very specific about the photos that I like and don’t like so I spent a long time researching wedding photographers but when I saw Pippa’s previous work I knew that I wanted her to be our photographer. When we had our engagement shoot Pippa made us feel completely comfortable in front of the camera and she took some fantastic photos that we were very pleased with. The engagement shoot was brilliant preparation for the wedding as we felt completely at ease with Pippa and it meant that the photos ended up being beautiful. 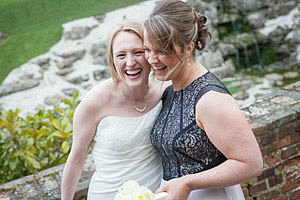 Pippa was fantastic on the day, she took stunning photos of our guests and helped to co ordinate all of our group shots. 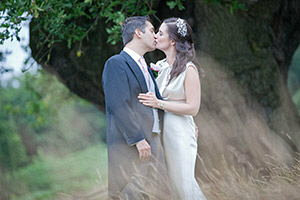 We are so so pleased with the final photos which only took a couple of weeks to arrive. From start to finish the service Pippa provided us was first class and we couldn’t recommend her highly enough. Everyone commented on how brilliant the photos are and Emily and I could not be happier. 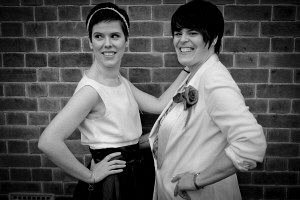 We first met Pippa at the Birmingham Wedding Show and through the mania of the event, we instantly felt at ease with her. Perusing her beautifully composed portfolio, her warm and relaxed approach shone through and we knew that she would be the perfect photographer for our wedding. Our instincts were proved right by the way she gently guided us to produce the best pictures possible from our pre wedding shoot and wedding day. From beginning to end Pippa unquestionably captured the magic, love and happiness of our awesome day. Pippa we were delighted with the way you captured our special day. We were particularly grateful for your sensitivity and discretion during the ceremony. Dad (our vicar) always says that the sign of a true professional photographer is that you don’t know they are there and you really lived up to that. Thank you again. 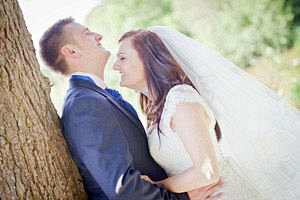 We are absolutely delighted with our wedding photographs which capture the spirit of our day perfectly. 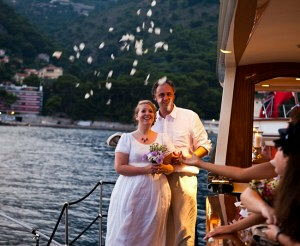 We feel that they are the perfect balance of artistic and classical and our families are equally thrilled with them. Pippa was a pleasure to be around and was extremely professional, always responding promptly to any questions that we had, and helping us to feel at ease both on our engagement shoot and then again on our big day. Furthermore, she was extremely discrete and blended seamlessly into the background hence she managed to capture the essence of the event so completely. I am so very pleased that we chose Pippa and cannot speak highly enough of her work. We cannot thank Pippa enough for our amazing wedding photos, we love them so much and can’t stop looking at them. We instantly felt at ease with Pippa when we first met her and knew we wanted her to photograph our big day. We had a pre wedding photoshoot with our daughter, and although I was unsure how this would be, we had such fun and was instantly at ease with Pippa just letting us be natural. The wedding day was the same really, Pippa just blended in and you wouldn’t have known she was there and she has taken some beautiful, precious photographs that we shall treasure forever. Ultimately we have ended up with the most amazing photographs that will be a great reminder of the love and laughter at our wedding day. We have sent the photo link to all our friends, family and work colleagues and EVERYONE, without exception, has commented on the quality of the images and how Pippa has captured the day so creatively. 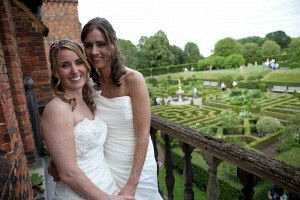 The moment we met Pippa we were impressed by her professional manner, quiet confidence and her fun, friendly approach. We were not sure about the pre wedding photo shoot, but it is absolutely the right thing to do as it gave us a chance to get to know and trust Pippa. Plus we now have an additional set of gorgeous photos. Pippa blended into the day so well that we can barely remember her being there at all. It is not until you see the photos that you can see she had all the best angles and somehow managed to be in two places at once. 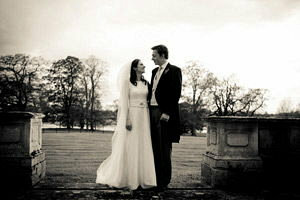 We are just delighted with the story of our wedding that Pippa has managed to convey with her fantastic images. We would not hesitate to recommend her to anyone looking for a photographer, we are certainly thinking up ways of working with her again. From beginning to end, Pippa was professional, reliable and very friendly. 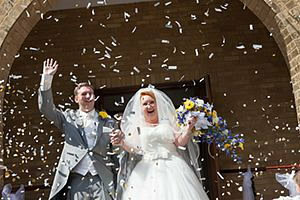 I had about 800 guests at my wedding, making the task of photography a very challenging one. However Pippa was always calm and captured my special day beautifully. i couldn’t of asked for more, I would recommend Pippa to anyone, every picture was absolutely perfect. Thank you again. Pippa was the perfect choice of wedding photographer. Before the wedding she took the time to get to know us, and even arranged a practice shoot which was really great. 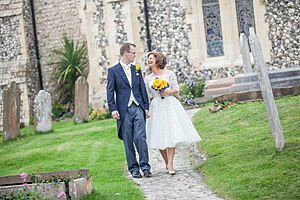 Pippa’s relaxed, friendly approach was very calming pre wedding, and was especially valuable on the day, where she fitted into proceedings wonderfully. 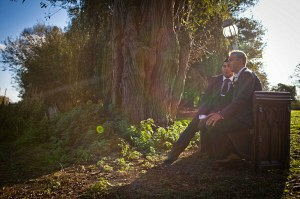 Pippa captured the occasion beautifully, and her photos are a fantastic record of our special day. When we first met Pippa we instantly relaxed and enjoyed ourselves in her company. 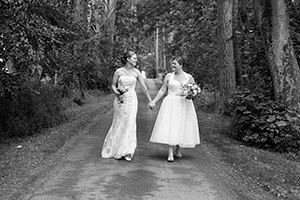 When choosing a photographer, particularly for something as personal as a wedding, it is important to get the right person and Pippa is very approachable and conscientious. At our wedding in Provence Pippa seemed to strike a fantastic balance between never taking her eye off the ball yet always blending in and seeming to enjoy herself as well. Her professionalism from brief to delivery was superb. Pippa is talented, elegant and dynamic and this comes through in her photography. We wouldn’t hesitate to recommend her. My words couldn’t describe how absolutely thrilled we were at the amazing pictures Pippa captured. She has frozen absolutely magical moments in a millisecond which my husband and I can now re-visit at a glance for years to come. Her works speaks volumes. Photos are quite literally the most important part of any wedding, and Pippa was not only extremely professional, she was warm and friendly and made you feel at ease. The moments were never forced or cheesy, and she captured Rob and I at those intimate points which you simply feel and would never normally see in pictures. 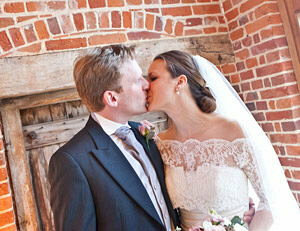 Thank you Pippa for those stunning photos which Rob and I can treasure; the start of the rest of our lives. I would book you in a heartbeat again for future photos and we can’t thank you enough for such a wonderful engagement shoot as well as the amazing wedding photos. If I could give you a hug I would! We were over the moon with the photos Pippa took of our little family. 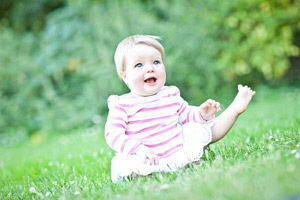 Her engaging, easy going approach made our daughter so relaxed and we had such a fun few hours during the shoot. Pippa captured so many very natural, happy moments giving us memories we’ll cherish always. When we decided to get married abroad you worry about everything because you know that you can’t just go and see venues, florists or photographers in person and you have to trust what you see online. And, at the end of the day the only things you are really left with when it’s all over are the rings and the photos! We therefore wanted to make sure we had the best photos we could possibly get and having seen Pippa’s amazing portfolio of work we decided to take her with us. We couldn’t have asked for better photos, we are still trying to whittle down over 600 photos to just 100 for our album and haven’t managed to get below 150 – that’s how many fantastic photos we have! Pippa has a wonderfully warm and friendly personality which really helps you feel at ease when being photographed. She also blended into the background and was able to take the most amazing natural shots of us and our guests. She works really hard, running around with all the equipment to make sure she has the exact right combination for the perfect photo. She did a lot of preparation with us at the venue so we could get as much out of the day as possible and she diligently wanted to make sure she captured everything we’d asked for. The evidence is there in the hundreds of fantastic photos we have and I cannot thank her enough for the amazing job she did and for caring so passionately about her job, she really is amazing. I have my favourites but there’s so many our house can’t fit them all in!! I can’t recommend Pippa enough and can’t wait to have another venture in our lives for her to photograph! Pippa thank you for capturing all the emotions on our day so unobtrusively. Your tenacity, calmness and soft manner, won everyone over. Your praises have been mentioned more than once. You understood so well how to illustrate our love story and all our friends and family are truly impressed by the quality and creativity of the photos that perfectly capture everything special about our day. It’s clear you really love what you do. We will be recommending you to all our friends. Where can I start with Pippa..? To put it in a nutshell, we have simply the most stunning, effortlessly natural set of wedding photos we could ever have wished for. Firstly, we really struggled to even know who to choose as our wedding photographer. 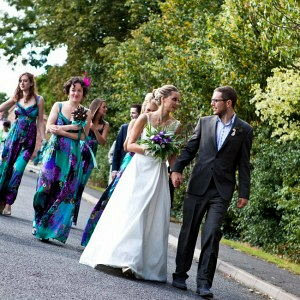 It’s such a huge responsibility, as these photos would be our lasting memories of the most important day of our lives. However, when we found Pippa, it instantly became a no-brainer! She immediately made us feel confident, not only about her ability to achieve this for us, but she helped us understand ourselves exactly what it was we wanted. Whilst having a very clear vision of how to achieve the best shots, she was entirely open to our own thoughts on group pictures etc and we always felt she was ultimately pliable to our needs. Pippa totally dedicated herself to ensuring she understood all our requirements and nothing ever seemed too much effort for her. I think one thing that definitely needs a mention is that not once did we EVER feel like we had a camera in our face on the day. Looking at some of the shots now, I can honestly say I barely have any recollection of her even being there. That non-invasive and almost stealth-like presence was spot on, as I’m certainly not the most natural person in front of the camera, but because I didn’t really notice her there, she managed to get some priceless shots! I think it’s also worth pointing out that every single person who has seen our pictures has commented on how extraordinarily natural they are. Also, without our knowledge and as a super thoughtful extra, Pippa produced an incredibly emotive slideshow from pictures across the whole day. She’s managed to encapsulate the whole day in a beautifully evocative sequence that makes us well up every time. What a wonderful touch! Bottom line is, I would not hesitate for a millisecond to recommend her to anyone. I can wholeheartedly promise you that you will not be disappointed! 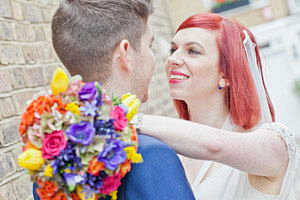 We met Pippa at a wedding fair in Brighton and instantly knew she was the photographer for our ceremony. Nothing was too much trouble and on the day she couldn’t have made our guests, and us, feel more at ease. 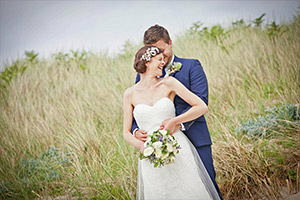 Our wonderful memories have been cherished forever with the beautiful photographs Pippa took for us. We wouldn’t hesitate for a second to recommend her! We could not have asked for a more perfect photographer for our wedding. Pippa was so accomodating and was totally unobtrusive on the day. I don’t particularly like my photo being taken and neither does my dad but she was so relaxed and really made everyone feel at ease. We didn’t want too many posed photos but still wanted pictures of all those special to us. Pippa did this perfectly and managed to capture people in such a natural way. We were so pleased with the photos she took, especially the ones we had no idea she had taken. Pippa took so many amazing pictures that we have struggled to choose which ones to have in our album. She also made us a fantastic slideshow of our day which we absolutely love and it’s been a great way of showing all our friends and family our pictures. After spending hours looking on the Internet for a photographer we stumbled across Pippa’s website and immediately fell in love with her work. She appeared to have the ability to take photographs that were filled with emotion and that captured the natural magical moments in life. When we contacted Pippa to enquire about her availability, she came across as a warm and down-to-earth person. Pippa’s photography is like her personality – very natural and not pretentious at all. She appeared to be genuinely excited for us, accommodating, and understanding. On the day, she was calm and friendly and we got the feeling that she was there to capture “our day” with our natural emotions and our feelings. We received our photographs within a week of our ceremony and we were extremely happy with them! She had managed to capture every angle. In fact, at times we could not believe that she had done it alone. And yet on the day, she was unobtrusive and quietly went about her business. In addition to our beautiful photographs, Pippa put together an extremely professional slide show of some of the photographs to music that was very personal to us. This just touched our hearts! Photographs are extremely important to us. We feel they are a trigger to the memories we cherish in our hearts. Pippa’s photos were a gift of high quality and we would recommend her to anyone wanting a photographer to capture the cherished moments of your day! I honestly can’t put into words how pleased we are with the photographs you took of our wedding, we LOVE them. We cannot thank you enough – you have captured the story of the day 110%. 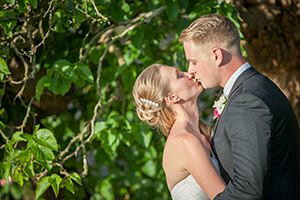 It was so great to come back from honeymoon to have the photos arrive on a CD in the post, we have looked at a slideshow of them every day since! We have so many wonderful photos to choose from, most of which we had no idea you were taking. 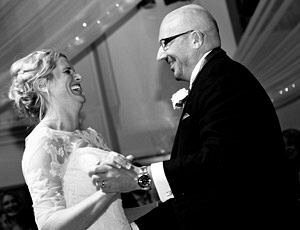 We would recommend you to anyone looking for a professional photographer without hesitation. Thank you so, so much for capturing our special day so beautifully with such glamour and style. We absolutely love the photos you took for us. You were really relaxed throughout the whole day and very considerate to our guests. We’re really pleased with the end product and would definitely recommend you our friends. You were a wonderful photographer and we think your photos are stunning. You captured some really special moments and you were so accommodating on the day, but never intrusive. You were always there when we needed you. We really can’t thank you enough, for all the wonderful pictures you took on our wedding day! Every single photo is beautiful in its own way. We can’t stop looking at our lovely album. We can’t believe how many pictures we have, especially when we can’t even remember you taking most of them! All the group and individual shots are so amazing. You managed to capture the atmosphere throughout the whole day. We would like to say a massive thank you for capturing these wonderful memories we will cherish forever, and we would recommend you to anyone in an instant (infact we all ready have). Again thank you so much! 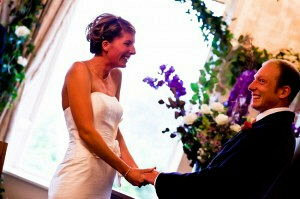 Pippa has a genuine talent for capturing the moment, conveying the mood and atmosphere of what is a very special day. Her photographs are natural, tell a story in themselves and create a very precious memory that we will have forever. As well as the quality of her photographs, Pippa manages to execute her photography without any intrusion on others so people feel at ease with the camera. She would be my number one choice for any kind of special occasion. 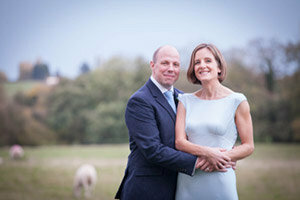 Thank you Pippa for doing an absolutely amazing job with our wedding photos. We had an engagement shoot around six months before the wedding and knew from the start that Pippa was the photographer for us – she really put us at ease in front of the camera. There were no hours of posing in the cold with her and she has a great playfulness that really brought out our fun sides in the shoot. On the wedding day despite being in late pregnancy Pippa did an amazing job of capturing our day in her photography and did not mind that we wanted to get to the wedding with her accompanying on the tube in February in London!! She really captured the happiness in our faces as well as the beauty of the day and has delivered not only our favourite photos of us as a couple so far but also some of the most beautiful pictures of our family and friends that we have. Beyond this she was all the other things you would hope for in a wedding photographer – punctual, patient, flexible, contactable and of course lovely! We cannot thank her enough. Pippa Heath’s photographs are wonderful. She was a positive part of the whole Wedding Day. Her discrete and unobtrusive management of every aspect of the day’s photography was extraordinary. We are so happy that we were fortunate enough to have this lovely, talented photographer accept the commission for our daughter and son-in-law’s wedding. She has so perfectly captured these happy memories for us all. 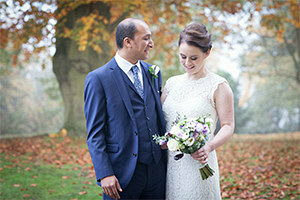 We love the beautiful photos that Pippa took of our late autumn wedding in Richmond Park. She really understood what we wanted and despite the extremely foggy conditions the photos are fantastic and the backdrop is just as we hoped! Pippa was lovely to have at the wedding too and we really appreciated her unobtrusive approach. Pippa was recommended to us and we would certainly recommend her to others. Pippa I just wanted to thank you again for our wedding photos. I was so lucky to meet you the year before our wedding, and your albums immediately caught my eye. What also got my attention was your style and manner in allowing me to look at your work and approach you to ask questions. From the outset, I felt comfortable and confident that our photographs would be great, and knew I had to book you! On the day, I remember being relaxed and happy when you arrived and you immediately started taking photos of everyone milling around and getting ready. Throughout the day you were there to keep us on track and make sure we got the photos we wanted. I also remember how much I enjoyed the few minutes in the field behind the marquee for our couple photos, and also at the time how much I was looking forward to that time! Funny to hear myself say I was looking forward to having our photos taken but it must have been your relaxed nature and confidence. 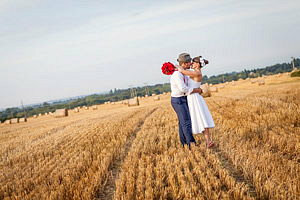 I should also mention the fact that you travelled all the way up to us in Northamptonshire to take our ‘pre wedding photos’ and work out the different venues, only for our reception venue to change at the last minute! However, despite this you had somehow worked out where to take the group and couple photographs and knew exactly what needed to happen where and the photos are better than we could have ever hoped. 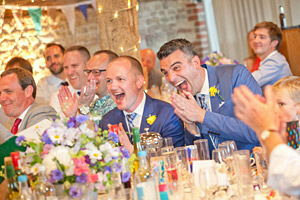 I love our photos more each time I look at them, finding different things to keep my interest, I especially love the way you have captured our guests expressions throughout the day! So once again, I massive thank you. 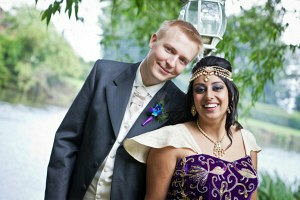 I wouldn’t hesitate to recommend you and your work to any other couples. 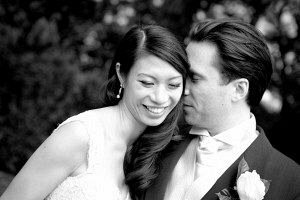 We found Pippa online after searching the internet for weeks and having spoken to lots of photographers at wedding fairs – we liked the style of her photography and the fact that she really makes an effort to get to know you with an engagement shoot first. Michael hates having his photograph taken so it was really important that we had a photographer that we both felt comfortable around and somebody who would blend in at the wedding taking natural shots without our knowledge. Pippa didn’t disappoint. She was a joy to have at our wedding and we barely noticed that she was taking photos. 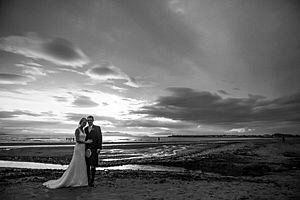 The photographs were available within a couple of weeks following our wedding and we were thrilled with the sheer volume of excellent pictures that truly capture the magic of our day. 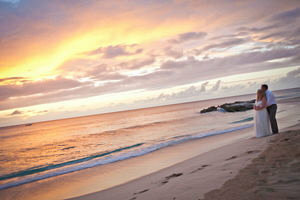 Many people have commented on the quality and beauty of our photographs. We have just received our album and we couldn’t be happier with the end result – it is very luxuirous and portrays many happy memories that we will treasure forever. Thank you Pippa! I found Pippa at a wedding fair in Brighton and immediately we were drawn to how personable and very likeable she was. We also loved the example albums she was displaying which had a mixture of formal and natural photos which was exactly what we wanted. Pippa came to our house to show us more examples and have a chat about the wedding before we finalised her as a photographer. Pippa also came to the church at our rehearsal to see it before the wedding. We asked Pippa to come to photograph us getting ready in the morning and from the moment she arrived she was discreet and unassuming. Everyone commented that you would hardly know she was there. Pippa took all of the photos that we had provided a list of in advance and also of her own choosing. Pippa also whisked us away for no more than 15 minutes from the wedding to take photos of us on our own and we love them so much – it looks like we were outside for hours which is really what we wanted to avoid having to lose time from the day! I can’t express how much we absolutely love our photos, they literally capture every aspect of the day in far more detail that we could have ever hoped for. It’s like watching a story of the whole day. We also love the slide show that Pippa made to the music from our wedding. 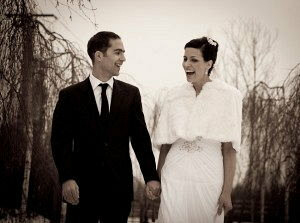 I would not hesitate to recommend her to anyone wanting a perfect photographer and photographs for their wedding. Everyone from our wedding has commented how beautiful the photos are that they wish their own wedding photos were as good! Pippa was the first photographer I came across, and after reviewing dozens of other sites and prices I was so happy to be able to come straight back to her! 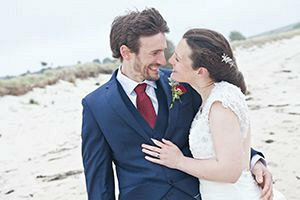 We weren’t the most organised of couples, and weren’t able to put what we wanted into words – somehow Pippa still managed to get it absolutely right. As well as being absolutely professional, Pippa brought with her a real sense of calm and a lovely smile. On the day she was absolutely perfect – having seen the photos I know that she was right in the middle of things, but somehow she managed to be totally invisible at the same time! Just right for our informal island wedding. The photos arrived much faster than expected and are wonderful – as well as the lovely posed pictures she has a real eye for the funny and sweet unplanned moments in the wedding, and really caught the spirit of it. Thank you Pippa! Pippa is so friendly, sincere and warm which enabled us to feel totally relaxed around her. She encapsulated the most intimate and special moments of our day in a completely subtle way. In fact, we hardly knew she was there! 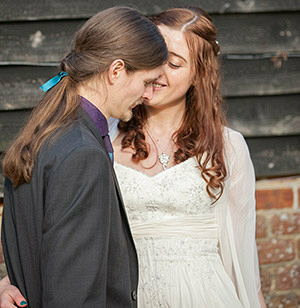 Emma and I are extremely camera shy, and thought any photographer we chose would have difficulty in showing who we really were and what the day actually meant to us, but Pippa managed to capture the day and our emotions perfectly. The photos are beautiful and magical and we cannot praise Pippa’s approach, talent and professionalism enough. Thank you for catching the cherished moments of our day, which through your photographs can be reproduced in our minds forever. From the minute we met Pippa we knew she was exactly what we were looking for. Her natural approach, her warm personality, her willingness to go the extra mile and, of course, her amazing talent as a photographer. We were delighted to find ourselves completely at ease during the pre-wedding shoot. 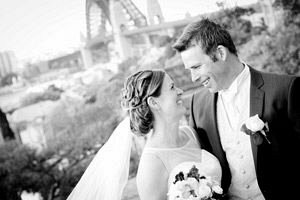 We were blown away by the quality and natural nature of the shots – especially given my husband’s initial unease in getting his photo taken! Pippa was so discrete on our wedding day. Her subtle presence allowed us to dedicate ourselves to enjoying time with our guests. Her approach was so informal which suited us perfectly. Our images tell the complete story of our day. Pippa has captured every element in the most creative way and delivered it to us in a lovely personalised photo animation, which, we were touched to find was accompanied by our significant wedding songs. We will forever treasure our USB disk of our 500 photos, and of course our album. Pippa is an exceptionally talented photographer and I would highly recommend her. We are absolutely delighted, the whole experience from beginning to end has been so special to both Andy and I, we really can’t thank her enough. After weeks of searching we came across Pippa and her work and were very keen to meet her in person due to the high standard of photos and excellent reviews she had received. When my wife and I met her we knew she would be perfect for us. We wanted a photographer that was able to capture natural pictures of our friends and family whilst telling the story of the day and Pippa far exceeded our expectations. We are absolutely delighted with the photos and can not thank her enough! We would recommend her to anyone. Pippa’s work on our wedding day has captured this caption completely.We have been utterly mesmerized by her artistic vision and the way that she has captured every moment of our special day. Her photos are a gorgeous juxtaposition of colour, energy and fun that has been by cherished by our friends and family all around the world. Pippa made us feel so at ease to enjoy the best day of our life. She must’ve floated around on the wedding day, as she took some marvelous pictures that even we struggled to remember those poignant moments of our day! We have loved her approach to the photography experience; bringing family and family together for some memorable pictures that only shows her passion and vision. Our pre-wedding shoot in our little corner of Richmond, London was an absolute joy; we had so much fun, and the experience only made us very excited for our special day. Her photo montage package added to music was just that special touch that has left us utterly speechless. From behind her camera lens, we look forward to Pippa capturing more important moments in our life. Thank you from the bottom of our hearts for being more that a photographer, but a special friend. Thank you for being a part of our day. Pippa Heath is an amazing, talented, good-humoured, polite, beautiful photographer. She arrived at my wedding promptly on time and was considerate of situations so that she did not once intrude whilst taking her incredible photos. Pippa remained professional throughout the day but also joined in with jokes and made me laugh often. She managed to capture every single detail of my wedding and took some beautiful, natural, simple but meaningful photos. They are all so fantastic that I do not know how I will possibly decide which ones to frame. I couldn’t wish for my photographs to have been any better and they were ready within 3 days! I would recommend Pippa to anyone looking for a photographer and will definitely be using her again. Pippa was absolutely brilliant, from the engagement shoot to the wedding day itself and beyond. She really listened to what we wanted and her photographs of our wedding day are just beautiful, we couldn’t be happier with them. Pippa’s photographs are so natural and they really capture people’s emotions and personalities, but she also produced some great formal shots. She really went the extra mile for us – thanks Pippa and can’t wait to see the album! My friends and family all know me as someone who incessantly takes photos at any opportunity, so handing over the camera to someone else for our wedding was tricky for me. I wanted someone who I trusted would capture all the moments I would have captured myself. Pippa did this, so much more and produced photos I could only ever dream of taking. Every so often on the day, something amazing would happen and Jon or I would turn to other and say “where’s Pip, where’s Pip”- we’d turn round and she’d ALWAYS be there, subtly poised and having already snapped away without us noticing. More than that, from looking back at the photos, she captured incredible moments and reactions that we didn’t get to see on the day, so it’s like we are re-living the wedding through new eyes as well. When you book a wedding photographer, you want incredible photos and Pippa’s are just that- beautifully natural; amazing use of light, focus and angles; and always flattering. However, what is as important is to have someone with whom you feel comfortable, who works confidently, quickly but unobtrusively and who will work flexibly to suit your needs. Pippa captures beautiful photos both with her natural photojournalist style but also of all the traditional group shots if you want them. She used our engagement shoot to get us comfortable behind the camera and we were very grateful for this. We have had so many huge compliments from friends, family and colleagues about Pip’s photos that I am already passing on her details to several engaged friends. I could not recommend her more highly- she and her photos are really wonderful. 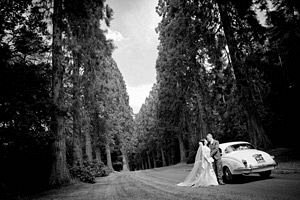 Pippa has a natural talent for capturing the essence of an occasion in a series of beautifully composed and expertly taken photographs. We instantly liked her warm, friendly and professional approach and felt confident we’d made the right choice in her from the outset. Our pre-wedding shoot was a fun and relaxed experience where we got to know Pippa a little better and it gave us a good idea of what it would be like to be photographed by her on the day. 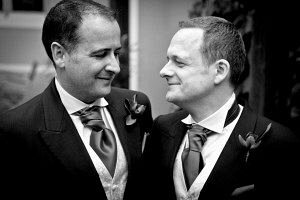 Our preference was for more candid photographs of the wedding rather than a formal line up, so that the atmosphere and sense of occasion would be captured. Therefore, Pippa’s style was a perfect match and we’ve ended up with a beautiful set of photographs which both are families are really pleased with – all captured with us barely realising she was there! 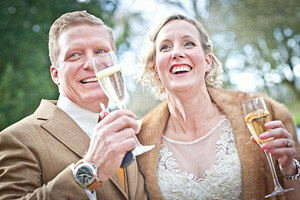 We were lucky and had a beautiful cold but sunny day for our February wedding. It wouldn’t have mattered though as Pippa Heath is such an extraordinary gifted photographer, especially for catching natural closeups of people. I had friends who said afterwards that they’d never seen a better picture of their other halves and could they have them. Her photos have given us a personal story of our entire day capturing every important, special moment and I barely remember her being there. I couldn’t have asked for better and I wouldn’t hesitate in recommending Pippa to anyone. In fact there are so many amazing photos I’m having trouble deciding which ones to frame! Pippa’s photos were better than we could ever have imagined. Friendly, discreet, dynamic and extremely hard-working, Pippa was amazing to deal with from start to finish. She really put me at ease when I was nervous getting ready in the morning, and then dashed off to take some wonderful candid shots of my husband and his ushers and family before the ceremony. Pippa captured all of the important moments of the day as well as the fun spirit that we had tried to inject into the proceedings. She also put together an incredible montage of all the best photos to music which even managed to bring a tear to my dad’s normally very dry eyes! The photos of my dad and me, and of my bridesmaids and I messing about together are really special to me, and now we just have the difficult task of choosing which photos to frame! I would not hesitate in recommending Pippa and would love to work with her again in the future. 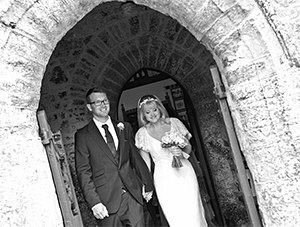 We had Pippa as the photographer for our wedding at Monkey Island in August 2013 and have been so satisfied with every aspect of the service Pippa has provided. From our initial meeting, Pippa was very friendly and approachable and listened to what we were looking for. The pre shoot was great to get an idea of what the big day would be like and Pippa was great at helping to relax us both and make the shots seem really natural. On the day itself, Pippa captured it perfectly, whilst being very subtle and unobtrusive to our day. 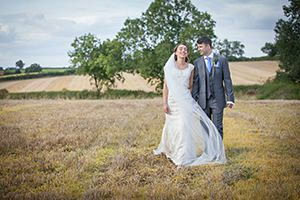 We are so pleased with the final pictures and have had many great comments about our photos – we would happily recommend Pippa to anyone looking for a photographer for their wedding! Having initially been averse to the idea of even having a wedding photographer, it was great to meet someone as talented, accommodating and unassuming as Pippa. From the very start she listened to what we wanted: no formal group shots but a set of images that exactly reflected the spirit of our day. We can honestly say we hardly noticed she was there but her images reflect the atmosphere perfectly and she captured every crucial moment. 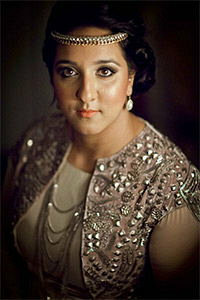 Her beautiful photos are creative and stylish and we would wholeheartedly recommend her. On top of that she’s also a lovely person to have around. I knew from Pippa’s website that her pictures were good, but when we saw the results of our shoot I was blown away. Where we have failed in the past with our simple ‘point and shoot’, Pippa managed to capture such great expressions from our girls – and frame the shots so beautifully. This is testament to her wonderful way with kids and adults alike, as well as her obvious talent! She was a pleasure to work with, the girls loved her and it really showed in the resulting pics. I can’t recommend Pippa highly enough. Having met Pippa while travelling in Africa (and admiring her amazing travel photos), we immediately thought of her when planning our wedding. We were so impressed by her work, that we commissioned her even though we live on the other side of the world in Sydney! She has a truly beautiful, unique and casual style of photography, and an amazing talent to capture the emotion and intimacy of a moment. 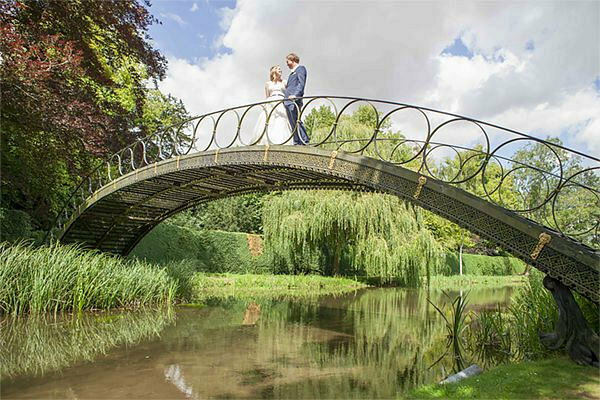 Pip was incredibly professional, and visited the location prior to the wedding to make sure she was familiar with the surroundings and light she would be working with on the big day. Looking through the photos, we love seeing the story of the day unfold. We both feel she was able to capture the day perfectly and so often we had not even noticed she was taking a picture. We absolutely love our photos and feel like she made our day extra special. Thank you so much Pip! Pippa is a wonderful photographer. My wife and I feel that she has an uncanny ability to capture the essence of people in her photographs- their personalities really shine through in the images she takes. 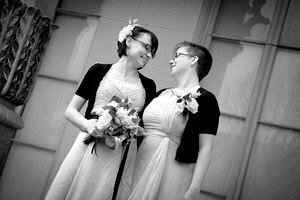 We love the pictures she took on our special day and our family and friends are just as positive. We would recommend her to other couples in a heart beat. 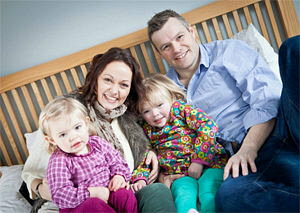 We cannot thank Pippa enough for her truly beautiful photos that are a delight for all our friends and family. She was absolutely wonderful on the day, extremely professional and we hardly even noticed she was there most the time! The photos are breathtaking, unique and are a brilliant way of helping us remember and treasure our most special day. 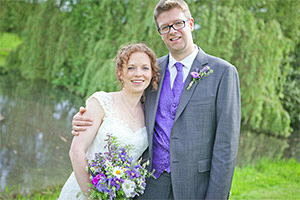 I cannot thank Pippa enough for the wonderful photographs that she took at our wedding. As Pippa knows, our day was tinged with great sadness and because of that we were not able to commit to our wedding date until very close to the time, but her patience and understanding in the run up to the wedding were such a help and she was so brilliant on the day in judging exactly how to capture pictures without being in any way obtrusive. She was just a total star. 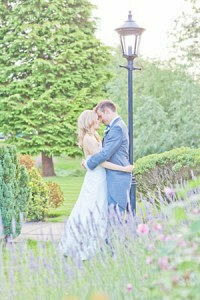 We love the photographs and they are exactly what we hoped for; lots of lovely relaxed pictures. It made coming back from our blissful honeymoon that bit more bearable as we found the CD of all those lovely pictures waiting for us. We look at them again and again and have spent the last four or five months trying to make an album find it impossible to choose between the photos! 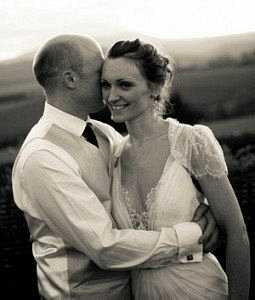 For anyone looking for a wedding photographer, you couldn’t be in better hands than with Pippa. I really couldn’t recommend her more highly. After meeting Pippa at a local wedding show and being impressed with her portfolio and her relaxed manner we decided to meet her at a later stage and discuss the requirements for our Civil Ceremony. We immediately knew we’d found the person we wanted to take the photos of our special day. Despite some appalling weather on a cold and wet Saturday afternoon in February, Pippa produced some fantastic shots at our pre shoot. We loved them so much we included one in our civil ceremony invite. Pippa knew exactly what she wanted and helped us relax, act naturally and enjoy being in front of the lens. Pippa was fantastic on the day itself; natural, warm, relaxed and very unobtrusive. This is demonstrated so well in the pictures of the day; with the exception of a few more formal family shots our pictures are very natural and capture the happiness and relaxed atmosphere of the day. The photo album is an incredible memory of what was an incredibly special day for us and Pippa produced exactly what we wanted! You’ve taken some amazing shots there and we’re super pleased with them. We loved the informality of them and I think they really sum up the day. You did exactly what we asked and then some – there are great shots of Sim and me together, the group shots are great and the portraits of people there are lovely too. And then you’ve got nice little touches thrown in there as well. 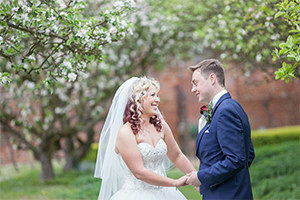 We are really, really pleased with them, you were absolutely fab and we couldn’t recommend you enough.